Authorities on Long Island last week announced large scale heroin busts just as elected officials vowed to combat the scourge of opioid abuse by pouring billions of federal funds into various drug programs. In Nassau County, District Attorney Madeline Singas’ office indicted 14 alleged members of a heroin ring that operated in Nassau, Queens and Brooklyn. The Brooklyn-based crew allegedly sold upwards of 23,000 doses of heroin each week, which authorities conservatively estimated to be worth $170,000. The alleged ring’s downfall came after authorities tracked a dealer to a large-scale drug network distributing thousands of doses of the drug each week, authorities said. Of the 14 indicted, a dozen have been arraigned, one is in custody, and another has yet to be arrested, said Singas. Four of the alleged members of the drug ring face up to 25 years in life in prison. One of the alleged leaders of the group, Leigh Jackson, is accused of selling packaged heroin stamped “Taster’s Choice” linked to several overdoses, including one that caused the death of a 23-year-old woman from Garden City Park, Singas said. Authorities executed several search warrants that resulted in the seizure of two firearms, ammunition, $12,000 in cash, and a large amount of heroin, Singas said. Similar items were discovered in a house in Coram earlier last week, according to Suffolk County police. While executing a search warrant at the residence, police found 349 grams of heroin, more than $83,000, an assault rifle and two handguns, police said. The 44-year-old man who lives at the house, Keith Daves, was arrested and charged on drug and weapons charges. Back in Nassau, County Executive Ed Mangano reportedly intends to sue drug manufacturers to pay back county taxpayers for the cost of fighting the opioid epidemic. Officials in Suffolk County announced a similar lawsuit last summer. Federal officials have also made combating the drug epidemic a priority. Included in this year’s federal budget is $4 billion for substance abuse and mental health services. The budget allocates $160 million to help pay for enforcement and treatment programs and more than $100 million for prevention. LIU-Post on Friday unveiled the first phase of an aggressive strategy to bring innovative minds, possibly the next Jobs or Zuckerberg, to its campus. While technology giant Apple was conceived out of a California garage and Facebook in a Harvard dorm, the Brookville university is following in the direction of other universities that are hoping to foster innovation right on campus. The university’s mission is to attract creative minds to its T. Denny Sanford Innovation and Entrepreneurship Institute, named after the billionaire philanthropist who contributed a $5 million grant to help fund the project. The goal is to put young minds, educators, and successful leaders of industry together under one roof to spearhead innovation. LIU President Dr. Kimberly R. Cline said at the institute’s official ribbon cutting Friday that the university intends to attract entrepreneurs from around the world and cultivate young people to become leaders in their own industry. “We are going to push you to be the very best,” Cline said. Sanford’s generous grant helped the university renovate its historic Bush-Brown Hall. Sanford, who was in attendance Friday, acknowledged that “start-ups are tough” but recalled how his own bank steadily grew over two decades. He said the key to success is to surround yourself with experienced people. “At the end of the day, you need someone who has been there, done that,” said Sanford, owner of South Dakota-based First Premier Bank. That message is at the core of the institute, officials said. “It not only seeks to expand entrepreneurship and innovation throughout the whole region, it also is about bringing young people in and getting them started with entrepreneurship early on,” Cline told the Press. Cline said the plan is to have 20 students each year involved in the program. They’ll be awarded scholarships, have access to faculty experts and the ability to take advantage of other campus-based institutes to help them along their path. Dr. Robert M. Valli, dean of LIU-Post’s College of Management, noted the growth of incubators regionally and across the country. The advantage LIU-Post has, he said, is its access to investors, being in one of the wealthiest zip codes in America, and an ambitious student body. Providing a base for both startups to work at the institute and students with entrepreneurial minds to learn could turn LIU-Post into a “nexus” for innovation, he said. The institute has already attracted several start-ups, including EParel, a tech company that tries to help the hotel industry be more efficient, and Bayside Brewery, which uses a technology to speed up fermentation. Launching the institute is just the beginning for the university. The second phase of the project includes adding a 12,000 square-foot extension to the existing building that will serve as the incubator space. Construction is expected to begin in the fall. New York State Attorney General Eric Schneiderman on Thursday announced a federal lawsuit against the mastermind behind the toxic dumping scandal at a park in Brentwood and a group of contractors, brokers, and haulers who allegedly contributed to the contamination. Standing outside Roberto Clemente Park, Schneiderman said he was taking to court those responsible for the dumping scandal in order to recoup money for the two-plus years the park has been closed and for future restoration of community parks in the hamlet. The lawsuit was filed in Central Islip federal court and names the since-convicted mastermind of the illegal dumping scandal, Thomas Datre Jr., and his co-defendant in the case, Christopher Gabe, along with nearly three-dozen companies. Datre and Gabe were sentenced last week to one year and 30 days in jail, respectively, following guilty pleas last year. Schneiderman is also suing various contractors who he alleges arranged for the disposal of soil and contamination construction and demolition debris, companies involved in brokering the removal and dumping of the debris, and haulers who dumped the waste at Roberto Clemente Park, which is named after the famed baseball player and humanitarian. The park has been closed since May 2014. Authorities said Datre Jr. and others were responsible for contaminating the park with toxic debris. Hazardous material was also illegally disposed at a veteran’s complex in Islandia, Deer Park wetlands and a property in Central Islip. 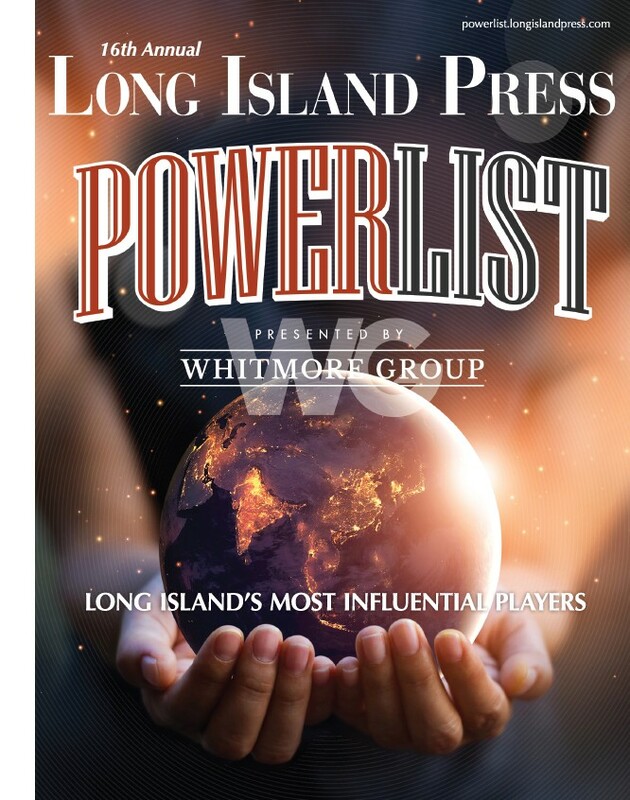 In total, six people were arrested, including former Islip Town Parks Commissioner Joseph J. Montuori Jr., who pleaded guilty last year to conspiracy and endangering the health, safety or environment, but won’t serve any time in jail. The state’s suit claims those responsible are liable under the Comprehensive Environmental Response, Compensation, and Liability ACT (CERCLA), a federal statute, along with state laws stemming from the park’s closing. Subsequent tests of the park revealed the existence of various toxic chemicals, pesticides, heavy metals and asbestos. In addition to Schneiderman’s lawsuit, the Town of Islip has sought civil enforcement for funds related to the cost of rehabilitating the park. April 20, known as '420' among marijuana enthusiasts, is a day of celebration and mass smoking of the psychoactive plant, still illegal in New York State except for those with a medical marijuana prescription. A former investment adviser from Roslyn Heights is taking his talents to South Beach. Jonathan Gilbert, CEO of Scythian Biosciences Inc., a biotech firm, has secured $16 million in funding for a promising trial at the University of Miami considering the potential impact of a cannabis-based compound to treat concussions and Traumatic Brain Injury (TBI). The cannabinoid compound at the center of the trials, cannabidiol (CBD), is believed to contain neuroprotective properties that could, in theory, reduce inflammation in the brain caused by head trauma. Adding to the intrigue, the drug would not contain Tetrahydrocannabinol (THC), which creates the psychoactive effect in the brain when using marijuana. Researchers at the University of Miami hope the trial could produce a first-of-its-kind pharmaceutical answer to concussions, which has recently been the focus of millions of dollars in research, largely in response to the impact concussions have had on current and former NFL players. For Gilbert, a career investment adviser who worked for a Connecticut-based hedge fund, it’s incredibly exciting transitioning to biotech, focusing his efforts on a potentially game-changing drug, something that has thus far remained elusive to concussion patients. Gilbert founded Scythian Biosciences Inc. three years ago, following a Tourette Syndrome support group session in which teenagers indicated they had used marijuana to “self medicate.” Gilbert and his wife have three kids, the youngest of whom suffers from the neurological disorder. The conversation with the teens got Gilbert thinking: how could marijuana benefit not only his son, but people inflicted with various ailments, including concussion? Gilbert knew his extensive list of contacts and ability to raise money and attract talent would make up for whatever experience he lacked in the pharmaceutical industry. In the latter years of his investment career, he noticed an uptick in medical marijuana businesses seeking funding, though most pitches were underwhelming. Still keen on the idea of marijuana-based treatment, he made a decision to go his own route. Initially Gilbert’s goal was to enter the industry in Canada, whose prime minister, Justin Trudeau, recently introduced legislation to legalize recreational marijuana nationwide. The prospect of similar legislation being proposed by the Trump administration appears far-fetched. Gilbert went ahead and purchased a facility in Canada with the idea of growing and selling medical marijuana. But instead of joining the growing medical marijuana industry, Gilbert, with his own son in mind, gambled on an entry into the pharmaceutical industry. Mindful of the surprisingly minimal treatment options for concussions, Gilbert got the sense that it was a “wide open space” with the potential of becoming a billion-dollar industry. “I’m learning as I go,” he said. Even so, Gilbert already sounds experienced. “Our therapy, which involves the use of two drugs, targets two different brain receptors which are involved in suppressing this immune response and the associated inflammation,” he explained. Scythian Biosciences Inc now has offices in Canada and the United States—including one at the University of Miami. The company has applied for a patent for its treatment and the University of Miami is in the pre-trial phase of the five-year study. Heading the university’s research is Dr. Gillian Hotz, research professor of neurological surgery and director of the concussion program at University of Miami Health System Sports Medicine. When the university announced the study, Hotz acknowledged the previous work her team had done to develop concussion protocols and better educate high school, collegiate and professional athletes. Researchers are currently examining TBI in rodents before testing the compound in the form of a pill on humans. Clues to as to whether the treatment could be the game-changer Gilbert is hoping it is won’t come until the third phase, which is expected to take three years. The University of Miami trial comes as medical professionals have earnestly been scrutinizing new ways to treat concussed patients. The US government has funded studies into hyperbaric oxygen therapy, which uses oxygen to reduce swelling and increase blood flow. At the University of Buffalo, researchers are testing how recently concussed athletes react to light aerobics, which would undermine years of conventional thinking that long periods of rest is best for a concussed brain. Gilbert welcomes the deluge of research. Given how pervasive concussions have become, he recognizes the need for changes in how concussions are treated—even if it means increased competition. According to the Centers for Disease Control and Prevention, upwards of 3.6 million people suffer a TBI each year. Additionally, an analysis by Blue Cross Blue Shield found that concussions increased by more than 40 percent in the past five years. Gilbert is hardly alone in advocating for cannabis treatment to tackle America’s concussion problem. Harvard psychiatrist Lester Grinspoon in 2014 penned a letter to NFL Commissioner Roger Goodell urging the league to pursue marijuana treatment. It appears Gilbert is both motivated and has found the financial backing for such an effort. And while he waits for the study to take shape, he said he’ll continue to raise money for his company, and perhaps even find a way to help more people like his son. A drug addict believed to be responsible for a spate of 18 knife-point robberies on Long Island over the past three months was arrested immediately after robbing another store in Huntington Station on Monday night, police said. Shane Cashmore, 30, who is homeless but has connections to Lake Ronkonkoma, will be arraigned in both Nassau and Suffolk counties on 18 counts of first-degree robbery, officials said. While being escorted out of the 2nd Precinct in Huntington Tuesday morning, Cashmore told reporters that he suffered from heroin addiction. “We have no doubt that Mr. Cashmore is responsible for these 18 robberies and we are glad to bring this spree to an end,” said Suffolk County Police Commissioner Timothy Sini during a joint press conference with acting Nassau County Police Commissioner Thomas Krumpter. Two other suspects were also arrested Monday night—Juliana Panteleone, 31, and Paul Drab, 26, both of Levittown—but authorities did not elaborate on their roles in the robberies. They were charged only for the Monday night robbery in Huntington Station in which they were described as getaway drivers. At the time of their arrest, Panteleone was preparing to inject herself with heroin, authorities said. Sini noted that there was evidence that suspects were suffering from substance abuse and “likely committing robberies to fuel their addiction.” The investigation is continuing. Cashmore is accused of robbing 18 businesses across the Island from Feb. 13 through May 1. Stores he allegedly hit included Carvel, Subway, Baskin Robin, TCBY, Dunkin’ Donuts, and The Barn, among others, police said. “Over these several months and weeks, small business owners and workers at these small businesses have been on edge, but today they can rest a little more peacefully,” said Nassau County District Attorney Madeline Singas. The big break in the case came in mid-April when investigators learned that Cashmore had been driving a rare Hyundai model called the Tiburon, which was only in production between 1999 and 2008. Police began looking into each of the 200 Tiburon’s registered in New York City and Long Island and were briefing individual officer’s when one came forward with information about an arrest he made in March that fit the description of the car, a 2006 version, in which Drab was driving. Drab was charged with possession of a controlled substance for that incident. The car, which was registered by Panteleone, was placed under around-the-clock surveillance, and authorities followed the car’s every movement: when the suspects took cans to scrap, to New York City, and to Panteleone’s place of work. Investigators followed that car Monday night to Oyster Bay, but the suspects became spooked by officers in the vicinity and instead drove to Huntington Station. After Cashmore allegedly committed his 18th robbery, he was immediately placed under arrest, police said. Krumpter said they were unable to prevent Sunday’s robbery in Lake Ronkonkoma because the car wasn’t used. Sini and Krumpter said their respective department’s willingness to work in tandem created an environment that contributed to Monday night’s arrests. The collaborative efforts of Nassau’s Robbery Squad and Suffolk’s Pattern Crime Unit is a “model” of how such investigations should work. In the first two cases attributed to the suspect, he allegedly robbed a Carvel in South Farmingdale 20 minutes after trying to rob a Dunkin’ Donuts five miles away in Seaford, police have said. In some households and bars across Long Island, every day feels like Long Island Craft Beer Week. But the official nine-day celebration of one of the Island’s most appreciated industries is quickly approaching, and, as is the case in previous years, there’s likely going to be new favorites greasing the ever-evolving taste buds of local beer enthusiasts. The much-anticipated Long Island Craft Beer Week 2017 edition kicks off May 12 and runs through May 21—just in time to solidify your summer beer list. 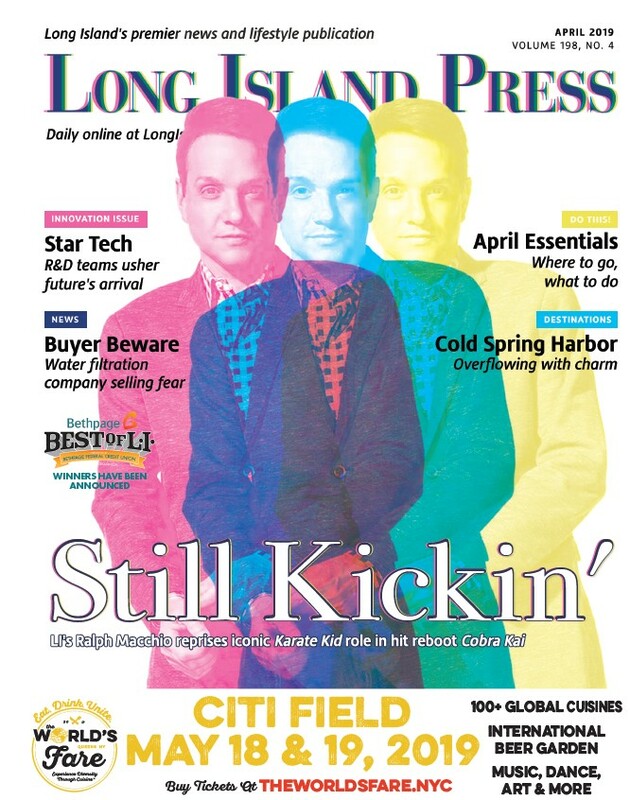 LICBW comes as LI’s craft beer scene continues to grow. While new microbreweries seek to get in on the action, others like famed Blue Point Brewing. Co. is expanding operations at the shuttered Briarcliffe College campus in Patchogue. Long Island now boasts more than 30 craft breweries. LICBW is unique in that it’s a collaborative movement created and promoted by local breweries that prefer to showcase their collective talents to raise awareness about drinking local. Basically the thinking goes like this: Why go at it alone when you have the support of your friends and competitors? We can drink to that. Historically, LICBW brings craft beer bars, breweries, and restaurants together to celebrate handcrafted brews. The good news is that no matter your beer preference, or whether you unabashedly embrace the moniker of “beer snob,” there’s an expertly created beer for everyone. Long Island has been undergoing a craft beer revolution and is now home to more than 30 craft breweries. Here’s the ultimate guide to Long Island’s craft brew explosion! Fellow firefighters had flooded Tolley’s hometown for a series of memorial services this week and their numbers grew exponentially Thursday as more than 10,000 people were expected to attend the funeral service. Outside the church, red ribbons abutted utility poles and American flags hung high. The steady mist eventually gave way to cloudy skies, punctuating the occasion as a somber mood enveloped the area around St. Martin of Tours church. With police enforcing morning road closures, the long stretch running from Hicksville Road to Bethpage State Parkway was eerily quiet until mourners trickled in for the ceremony. Tolley, 42, and about 100 other firefighters were battling a blaze at a five-story building in Ridgewood, Queens last Thursday when he fell to his death. The circumstances around his fatal fall are currently under investigation. The funeral marked a tragic end to a life of a man whose love for his family, his wife Marie and 8-year-old daughter Bella, was endless. Leading the procession was Tolley’s Ladder Company 135, including one in black and purple bunting carrying his American flag-draped casket. Tolley’s widow and daughter followed the casket into the church as hymns blared. The words “In Loving Memory of William N. Tolley” word etched into the truck. “His death leaves so much pain, confusion and crying,” said Father Patrick Woods, recalling the moment of devastating grief when Tolley’s daughter, Bella, learned of her father’s death. “Mommy, why are you gone all day, what happened?” she asked. “Marie a loving mother carrying her own crushing grief, gently tells Bella that Billy has gone home to God,” he recalled. Consoling Bella, Marie reminded her that Tolley loved helping people. “That’s what firemen do,” she said. Could this be the surprise performer officials teased at the new Nassau Coliseum unveiling last month? On Tuesday, Beatles legend Paul McCartney announced a stop at the renovated NYCB Live Nassau Veterans Memorial Coliseum for his much-anticipated “One on One” tour, which kicked off this month. Besides Billy Joel, who opened the Coliseum earlier this month, McCartney will be the biggest name to grace the stage at the refurbished arena for his Sept. 26 show. McCartney’s last Coliseum gig was in 2002, when he put on a 36-song performance, which included two encores. Among the notable hits that evening were “Hello, Goodbye,” “Blackbird,” “Let it be,” and “Hey Jude,” according to setlist.fm. Tickets for the Sept. 26 show go on sale May 5. According to McCartney’s website, American Express cardholders can purchase tickets on advance between April 26 at 10 a.m. and April 30 at 10 p.m. The Coliseum stop will be the last of four straight performances in New York, beginning with a show at Madison Square Garden on Sept. 15. From there he’ll head to Barclays Center in Brooklyn on Sept. 19, and the Carrier Dome in Syracuse on Sept. 23 before hitting the Coliseum. McCartney hasn’t played at MSG since 2005. The new Nassau Coliseum officially reopened on April 5 for Joel’s sold out show. The 13,900-seat arena cost $165 million to renovate. Aside from an exterior facelift, the Coliseum boasts widened concourses, high-definition screens, brand new seats, Long Island-based food options and revamped restrooms.